Could Beerfest 2 still happen? According to the Broken Lizard gang, it's very much a possibility. Broken Lizard is the group responsible for movies like Beerfest and Super Troopers and they're currently promoting the upcoming release of Super Troopers 2, which has been in the works for a long time but, after several delays, it's finally coming our way. Does that mean a Beerfest sequel is next? They don't currently have plans, but it's still something that's in the mix. Director Jay Chandrasekhar, who helmed Beerfest and both Super Troopers movies, recently spoke at a Q&A in Los Angeles, California with the rest of the Broken Lizard gang. While taking questions, they were asked about Beerfest 2. Chandrasekhar reveals that they have a story for it, which means that it's possible. But beyond that, he didn't have much else to offer. Here's what he had to say. "We have a story for it. So yeah." Kevin Heffernan, who plays Farva in Super Troopers and Landfill in Beerfest, jokingly chimed in saying, "Come on! We just finished this f*****g thing! What do you want from us!? Jesus!" The fact of the matter is, Super Troopers 2 is done and, assuming that movie does well at the box office, they may have the steam they need to get Beerfest 2 made, which for years has been looking like it will be called Potfest, or something of the like. Speaking in 2016 with Inverse, Steve Lemme, another member of the Broken Lizard gang, had this to say about the possible sequel, suggesting that they would rather make Super Troopers 3 first. "It's something we're talking about. We want to do it. There's a couple of other movies we want to do. We want to do Super Troopers 3. We'll see what happens, but right now, we're focused so much on Super Troopers 2." Jay Chandrasekhar spoke several years ago about the Potfest sequel, which came as the result of Beerfest's ending. The movie concluded with Willie Nelson, a known lover of pot, bringing the gang into a similar festival, but for smoking pot as opposed to drinking beer. The director says it wasn't actually meant to set up a sequel, but he says, "Willie (Nelson) said he would do it, and Snoop Dogg and Cheech (Marin), they both said they would do it and we're like, 'We can probably do this.'" There were also plans for a Beerfest digital online series a few years back. 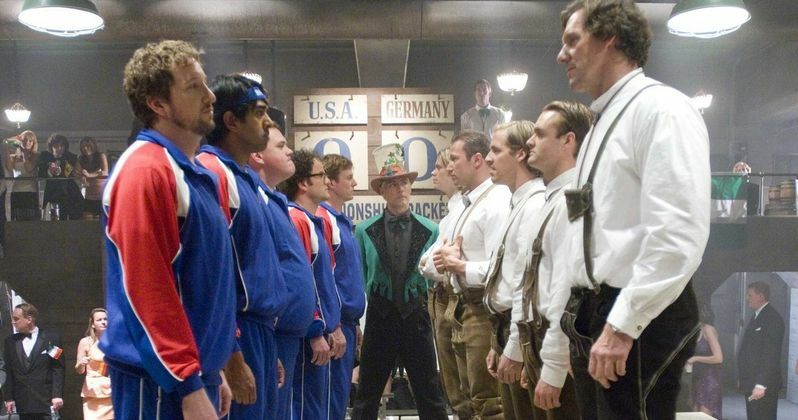 Beerfest was originally released in 2006 and, like Broken Lizard's other movies, it wasn't loved by critics and made just $20 million at the box office. However, people still seem to embrace the comedy more than a decade later. If Super Troopers 2 proves to be the rare long-delayed comedy sequel that actually works, who knows? Maybe that will give the guys the push they need, and the financial backing from a studio, to make Beerfest 2 a reality. But don't hold your breath. This news comes to us courtesy of Cinema Blend.